Swaraj, who arrived here from Thailand on the second leg of her three-nation tour, was given a warm welcome. External Affairs Minister Sushma Swaraj today called on Indonesian Vice-President Muhammad Jusuf Kalla and held talks with her counterpart to discuss ways to strengthen the strategic partnership between the two nations. “Engaging discussion on strengthening our strategic partnership, EAM @SushmaSwaraj called on Vice-President of Indonesia, Mr Muhammad Jusuf Kalla #ActEastPolicy,” Raveesh Kumar, the Ministry of External Affairs Ministry spokesperson, tweeted after the meeting. She will also co-chair the fifth meeting of the India-Indonesia Joint Commission with her Indonesian counterpart Retno Marsudi. The ministers will also inaugurate the second meeting of ASEAN-India Network of Think Tanks. “EAM @SushmaSwaraj had a tete-a-tete with Retno Marsudi, Foreign Minister of Indonesia ahead of the India-Indonesia Joint Commission Meeting in Jakarta. Reaffirmed our desire to enhance partnership across all sectors,” Kumar tweeted. Swaraj will also call on Indonesian President Joko Widodo, and have other official engagements, including an interaction with the representatives of the Indian community. As the biggest country in the ASEAN region with the largest economy, Indonesia is an important partner for India including in trade and strategic matters, the Ministry of External Affairs had said before the meeting. 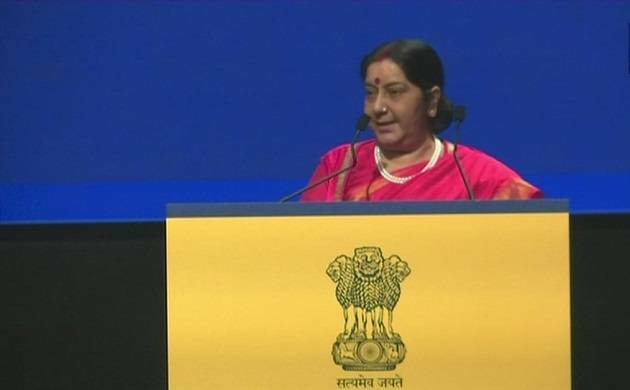 Swaraj will also visit Singapore and there she will inaugurate the Regional Pravasi Bharatiya Divas (PBD) of ASEAN countries on January 7. Her three-nation visit is the part of New Delhi’s efforts to hold bilateral interactions in various sectors with the countries of South East Asian region within the framework of India’s Act East Policy.